Always irreverent, occasionally insightful. Analysis and commentary on Syria. 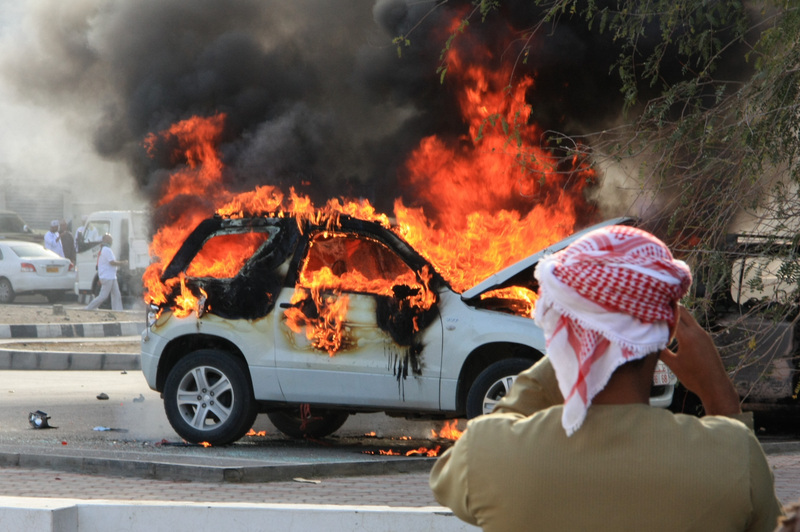 In February 2011 pro-reform protestors took to the streets of Sohar, burning cars and a local government building. The angry shouts were concise: “Just like Egypt!”. The wave of Arab uprisings had arrived in oil-rich Oman, a country that had enjoyed 40 years of stability. The reasons behind the protest were all too familiar. “There are no jobs, no money. The minimum wage is too low”. These complaints might be expected in Cairo or Yemen, but come as a surprise in Oman where the vast oil reserves have been successfully exploited and profits relatively well distributed amongst the population. Unfortunately, as is often the case in countries reliant on oil, a natural and broad-based economy has never developed. While poverty may not exist on the same level as Egypt or Tunisia, young men struggle to find employment amidst a work-force which ranges little from government positions and the oil industry. In an apparent pre-emptive move to placate any would-be demonstrators, the Sultan increased the minimum wage from $160 to $200. This was obviously too little, too late. Demonstrations later reached the capital Muscat as well as the southern city of Salalah. Sultan Qaboos quickly pledged reforms and reshuffled his cabinet a few times and the protest movement soon died down. The Sultan may have avoided calls for his removal but the protests in Oman were proof that no regime is immune from the Arab Spring.